This summer, I experienced a rather different kind of music festival. Because I’m a rising high school senior this year, with my auditions looming ever nearer, I wanted to go somewhere with a focus on solo repertoire and time for me to practice as much as I wanted, but also get to focus on chamber music. 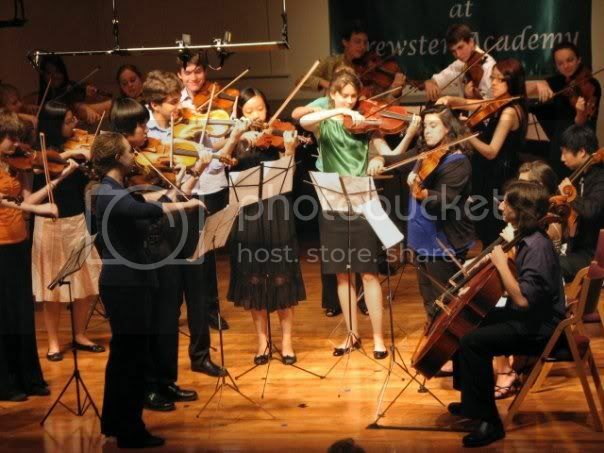 Still, I wasn’t 100% sure of what I was getting into when I decided to attend the Heifetz International Music Festival located on the campus of Brewster Academy in Wolfeboro, New Hampshire. Pictures of the campus on the Institute’s website showed gorgeous views of rolling hills, lakes, and charming restaurants, but I’ve learned from experience that places usually aren’t as beautiful as they appear in photographs. However, that was not the case for Wolfeboro and Brewster Academy. 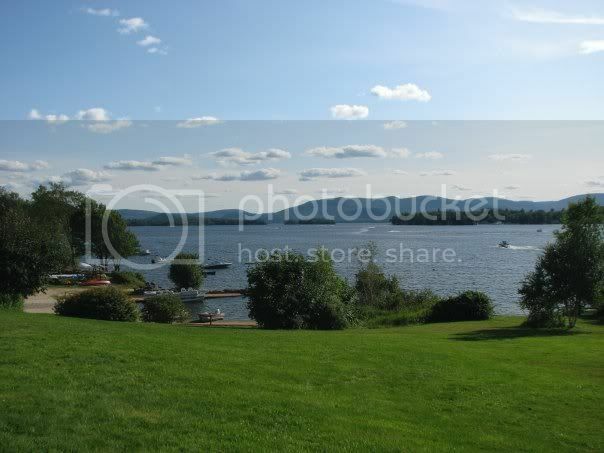 Wolfeboro, which proudly holds the title of the “oldest summer resort in America”, is a surprisingly delightful little lake town. As it turns out, you couldn’t ask for a more beautiful setting to spend a summer exploring your music and yourself. The view from our dorm window. During the all-camp meeting that was held on our second day, Mr. Heifetz told us that he has seen too many examples of young musicians who “played the notes, and only played the notes”. We were to participate daily in hour-long communication classes where we would learn how to better express ourselves while learning about several different kinds of performing arts. It would all tie back to becoming a better communicator to our audience and having a more powerful presence on stage. Along with many of my fellow students, I had no idea what to expect from these classes. Many of my friends were frightened at the prospect of public speaking, singing, and improvisation, which were a few of the skills we would hone in on during our communication classes. But once we became comfortable with the idea of getting up in front of one another, abandoning any stuffy, classical-musician attitudes, and were ready to let loose a bit, the classes became really fun. It was something that I looked forward to every day. 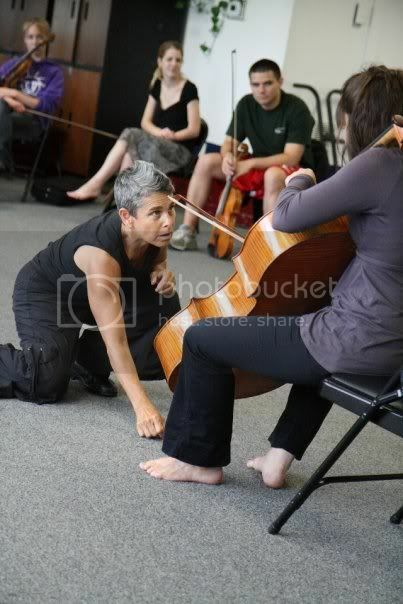 Cellist Andrea Casarrubios with instructor JoAnna Mendl Shaw during a movement class. Photo credit: Jonathan Lo. In the communications class we learned to forget about our instruments for a moment. Through singing the line of music, and through paying attention to the direction and the climax of the phrase, we were able to become more in touch with what exactly we wanted to accomplish, and then apply it to our playing. Becoming more aware of our bodies and the way they connected with our instruments helped us to play with less tension and feel the instrument as an extension of ourselves. Learning to go crazy and express without inhibition allowed us to show ourselves wholly without barriers, and bond with the rest of our class over our goofy personalities. 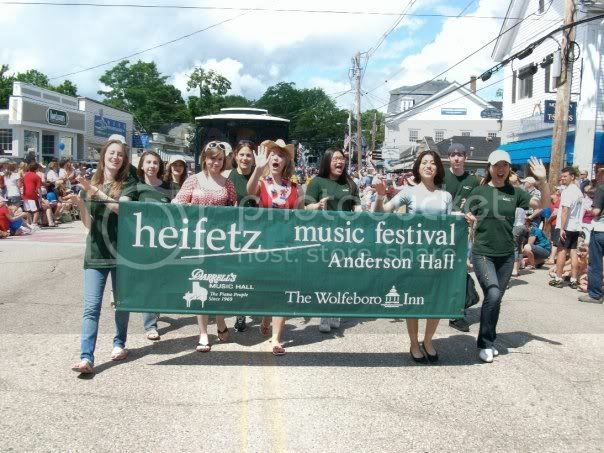 Students carrying the Heifetz banner during Wolfeboro's 4th of July parade. One thing that I loved about the Institute was the fact that students receive two private lessons per week. I had the privilege of studying with James Buswell of the New England Conservatory, and under his guidance grew a lot musically. 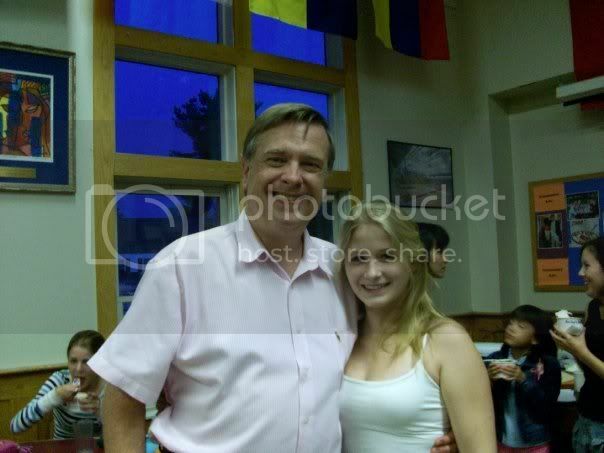 Mr. Buswell, along with being an extraordinary and inspiring violinist (we got to hear him weekly at the faculty concerts) was an incredibly insightful teacher and mentor. Aside from his kind and caring manner toward all his students, which gave a feeling of community and safeness to his studio class, he is an extremely smart man whose logical approach towards every aspect of playing opened my eyes to many things about music I hadn’t been exposed to yet. He is an amazing lecturer, and I came away from every lesson feeling that I had received an absolute gem of knowledge about music. One of the pieces I worked on this summer was Bach’s A minor sonata, and he gave me what I felt was tremendous insight on the rhythms of life, inside our bodies and in the word around us, the macro and the micro, and how they applied to the rhythms of music. He often brings in concepts from other disciplines -- other arts, science, history -- to round out a point. He is able to paint a beautiful image with his words and is always inspiring. Aside from daily communication classes and twice-weekly lessons, we received weekly chamber music coachings for our groups and rehearsed independently at least three times a week. Student concerts, called the “Stars of Tomorrow” concerts, were held twice a week in Anderson Hall, which the residents of Wolfeboro would flock to and show their full support. The student concerts were recorded and broadcast live over streaming internet so that our families and friends were able to view them from home. Performing in a Stars of Tomorrow concert was a perfect performing experience because there was no feeling of competition between the students. Each time I performed, I only had a feeling of excitement and eagerness to share what I had been working on with my fellow students, teachers, and other audience members. The atmosphere was always one of encouragement and support for the performers. We also had a chance to hear amazing players at the weekly faculty concerts, and came away each time inspired by the artists we look up to so much. 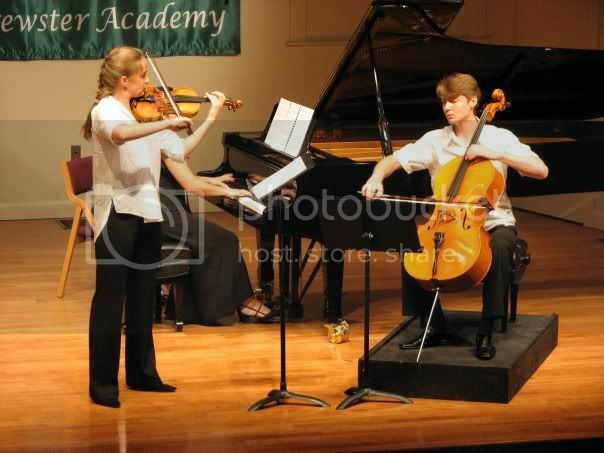 Violinist Anna Panina and cellist Dmitry Volkov during a Stars of Tomorrow concert. In addition to Mr. Buswell, the Institute possesses an incredible faculty of well-known and respected teachers. There were four violin studios: Mr. Buswell, Marylou Speaker Churchill, Grigory Kalinovsky and Patinka Kopec, and a studio in which the students had lessons with a different visiting teacher each week; Daniel Heifetz, Catherine Cho, Ani Kavafian, Daniel Phillips, and Pamela Frank. The viola and cello faculty were of the same high caliber, and there was an impressive staff of collaborative pianists on board, as well. The full faculty list is here. 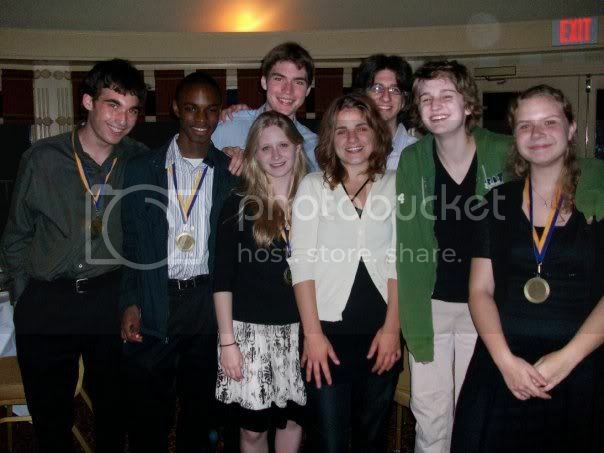 Students of the Institute with Stephanie Nilles at a reception after a taping of From The Top, which came to Heifetz during the second week. Students of the Institute performing a movement from Tchaikovsky's Serenade for Strings at the final concert. Did you meet a cellist named Julian Langford there? He's a good friend and orchestra-mate of mine. Yes! Julian is pictured in the From The Top photo, and also in the orchestra photo as principle cellist. Oh, I see him now! He's the principal cellist in my school orchestra. I learn SO much from your blogs. The way you write, your experiences, and everything makes me feel like I am there with you. You write so beautifully with a lot of feeling and heart, which is something I must learn to do. I'm glad you had such a great time! Great blog, Caeli! I really like this idea of exploring communication and expression along with the skills and traditions of our instruments. We should always be staying close to what music is all about, and that has to do with what flows between the musician and his/her audience. It's easy to forget this after 1,000,000 hours alone in a practice room! How do you test the reaction of your audience there? It's just imagined. It makes sense to have a class that is only about this interaction, since we have classes that are so very focused on technique to the exclusion of anything else. Congratulations on a great blog, Caeli! I know several of the instructors at the camp, and they are the most thoughtful, musical people I can imagine. I'm glad to hear you had a wonderful time at the Heifetz summer music festival. I attended this festival back in 1998 and 2000, when it was held in Annapolis, MD and felt I grew a lot as a musician. Thank you for sharing your blog with us, and best of luck on your up-coming auditions.